Special counsel Robert Mueller’s team has been questioning former Trump campaign chairman Paul Manafort and others about Roger Stone. Stone, who also worked on Trump’s campaign and previously was a partner at Manafort’s lobbying firm, Black, Manafort, Stone and Kelly, has been the subject of Mueller’s investigation. Manafort has agreed to cooperate with Mueller’s probe into whether Trump’s campaign colluded with Russia. Mueller’s team wants to know whether Stone had advance knowledge of WikiLeaks’ plans to release Hillary Clinton’s emails, which Russian hackers had stolen. 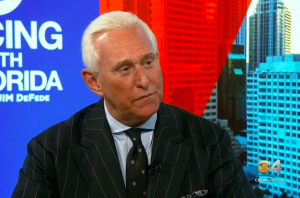 At the time, Stone publicly suggested he had been in touch with WikiLeaks founder Julian Assange over the emails, which were released to hurt Clinton’s chances of winning the 2016 presidential election. Nearly a dozen people close to Stone – many of whom have appeared before a federal grand jury – have been questioned by Mueller’s team. Posted: 10/18/18 at 11:33 AM under News Story.